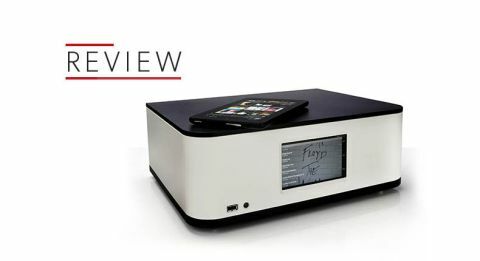 Convert Technologies Plato Class A review | What Hi-Fi? About a decade ago we were convinced that media centre PCs were the future. Those we reviewed at the time seemed to have everything in their favour, combining cutting-edge specifications in a neat, modular, one-box electronics package. They performed well too, to a degree. The problem was that they were still very much PCs. They took ages to start up, were clunky to use and crashed on occasion, as computers are prone to do. While such things are accepted with a reluctant shrug when doing computer tasks, we’re far less forgiving when such a unit fails to load a film or gets stuck skipping music tracks. Unsurprisingly, they never caught on in any significant way for domestic use. Is it possible for Convert Technologies to succeed where others have failed? Possibly. During a couple of week’s worth of use the Plato Class A proves a generally robust performer. Only once during that time did it need a restart to get things working. Rather than developing its own operating system Convert has taken the sensible approach of using a customised version of Android instead. Anyone familiar with Android from phones or tablets will find the Plato’s operation second nature. It occasionally feels a little clunky in this AV-based context, though. The large touch screen display on the stark front panel is reasonably sharp, but could do with greater contrast particularly when viewed off axis. We think most people will end up controlling the Plato using the dedicated app. It’s Android and iOS compatible, but Convert thoughtfully supplies an Amazon Kindle Fire tablet (preloaded with the appropriate software) in the box. The company also includes an LG DVD-RW disc drive too, so that ripping your CDs into the Plato is easy. There’s no shortage of connectivity here. There are three opticals, a single coax and a trio of line level analogue inputs. There’s even a dedicated moving magnet/moving coil phono stage that can be configured to match your cartridge properly thanks to gain and input impedance adjustments. Add a HDMI output and a plentiful supply of USBs – as well as built-in Tidal integration – and we can’t think of a scenario in which the Plato is likely to get caught short. Its 50W per channel power amplifier modules feature a variable bias system that allows the first 8W to be delivered in Class A mode. The company has taken a great deal of care to design the cooling arrangement so that the unit doesn’t run too warm. We barely got it to heat up with our usual listening levels. The engineers have also worked hard to minimise the interactions between various digital and analogue sections so maximising performance. Convert makes a version of the Plato called the Class B, which has a more power efficient power amp module. This has the same claimed power output but will run even cooler. The company obviously doesn’t think it sounds as good though, charging a whopping £1000 less for it. Convert has taken a minimalist approach to the exterior design. Apart from the main screen, a USB connection and small On/Off button the rest of the fascia is bare. It’s a solidly built case too, high in quality and feeling nicely damped. The unit weighs in at a relatively hefty 15kg. Our black/white finish and an all-white alternative are available for the price we’ve listed. It’s possible to get high gloss options too – in black, white, silver or red – and these add a £300 premium. The Plato is generally easy to use, though the app has a few quirks. Once you switch input you need to press the ‘Now Playing’ tab to control the volume. It’s a pain if your external source is already playing and the volume level is set too high. Beyond that, we like the app – it’s relatively easy to use (on the whole) and doesn’t crash much. We partner the Plato Class A with Spendor’s rather splendid £2200 A4 floorstanders, which are pretty sensible partners. We also try our reference ATC SCM50s, which at double the Plato’s price are possibly not. What the ATCs do though is give us more of an open window into the unit’s performance. For the most part it’s good for a product of this type. We start off with Amy Winehouse’s Black To Black and like what we hear. The Class A has a clean and precise sound; one that has enough in the way of detail and agility to please. Its presentation has a good amount of punch, delivering the track’s jaunty rhythm track with conviction. Winehouse’s vocals come through with clarity, and cut free of the instrumental backdrop with ease. It’s a pleasant presentation, though not exactly thrilling. There’s a lack of dynamic verve, solidity and enthusiasm that adds up to a performance that’s listenable rather than enthralling. We move onto Mahler’s Symphony No.1 and the story remains much the same. We like the Convert’s tidy approach to music replay. It’s organised and informative with a tonality that’s on the taut side of neutral. Stereo imaging is on the compact side, but the sound stage is nicely presented and layered. Dynamics could be stronger as could the sense of scale, but the Plato gets the basics right, delivering a clear and articulate sound furnished with enough in the way of instrumental textures and dynamic nuances to keep us interested. It’s a breeze to record vinyl. We put Alice by Tom Waits on our reference Clearaudio Innovation Wood record player and marvel at just how easy the process is. The unit even correctly identifies the album and finds the artwork and track titles. The sound of the recording reflects the quality of the record player well, though the overall character of the presentation remains consistent with that heard when streaming from the internal drive or an external NAS. We load some video clips onto the hard drive to judge the quality of the HDMI output and are left a little disappointed. A Full HD clip of the Tom Hanks vehicle Sully proves a little noisy, lacking the clarity and punch of the picture we’re used to seeing from budget Blu-ray players. It remains perfectly acceptable for occasional use though, but we wouldn’t be tempted to use the Plato as our main video source. To be fair to Convert Technologies, the lack of surround sound support suggests that serious AV use isn’t a priority with this product. There’s much to like about the Plato Class A. It’s well made and, once you’ve got a hang of the Android OS, fairly easy to use. The dedicated app is a good one while the extensive feature list is impressive. Performance is good too, for a product of this type, though it’s not up to the levels of decent separates hi-fi. To expect it to be so is missing the point of the product. If you need a one-box unit that covers pretty much all bases as far as music replay is concerned, the Plato Class A is well worth investigating.